Providing Positive Experiences for children. Holly House School is a co-educational residential special school catering for pupils with severe Social, Emotional and Mental Health Difficulties that impact on their behaviour. Pupils are aged between 7 & 14 years (Key Stage 2 and 3). The school offers up to 43 day places and can provide 8 residential placements on any one night. 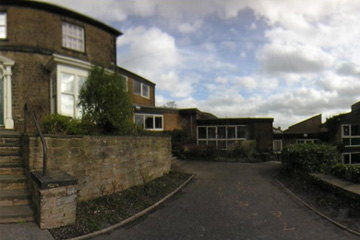 Holly House is the only school in Derbyshire of its kind. The general profile of a Holly House pupil is a boy (though we do now have one girl) with behavioural difficulties and associated disorders that have caused problems in mainstream schools. They may have been excluded or close to permanent exclusion and have missed parts of their education. They may have been on part-time timetables or educated away from the main class. Academically the boys are potentially at or just below national expectations, but in previous placements they have not managed to achieve this potential. All pupils admitted to Holly House have an Education & Health Care Plan (or statement of Special Educational Need). More recently pupils admitted to the school have more complex needs and we have seen a rise in the number of pupils with a diagnosis of Autism. We accept that most Holly House pupils lack the skills and self-control required to access mainstream education. It is our aim to equip pupils with these skills and prepare them for a return to mainstream schools at an appropriate time. This may be in Year 7 at the start of KS3, Year 8 or at the end of Year 9. A small number of pupils with more complex needs may not be ready for transition back to mainstream at the end of Year 9 and these will move on to other Special Schools, Behaviour Support or Alternative Provision. Holly House has had the call from Ofsted this morning and we will be undergoing an Education Inspection on Tuesday and Wednesday this week. If any parents, staff or pupils would like to contribute to the inspection they can through the Ofsted website. Details of how to do this will be sent out later today. Yesterday, school closed early to allow staff to attend the funeral of Jak Hikin, a Year 10 pupil at Outwood Academy. Jak spent 3 years at Holly House, moving back to mainstream last September. He really made a success of his time here and is missed by staff and pupils alike. A collage of photographs and messages from staff and pupils was taken to the service at Mansfield Crematorium. Our thoughts are with his family and friends at this time. Click here for more information. We are into March and the snow has held off so far this winter. I hope that we now get through to Easter without any disruption. Our Year 9 pupils are preparing for transition as they move on to the next stage of their education in the summer. We sent out Interim Reports to parents on the 15th February to let you know how your child has progressed during the first half of the school year. This is an opportunity to reflect and plan for further progress in the second part of the year. I hope that all parents received their reports. If not then please get in touch with the office and a copy can be resent. Though it is important that every pupil makes academic progress, especially in the core subjects (English, Maths & Science) it is also essential that they make progress towards their social and behavioural targets. Seeing the progress our pupils make with their social and life skills is very rewarding to all the staff at Holly House. If any parents would like to discuss aspects of the Interim Reports or generally discuss progress then please get in touch with the office. Ofsted Inspectors visited Holly House on Wednesday 26th September to carry out a Section 8 Inspection. As a result of this we are still ‘GOOD’ and have been given some areas for improvement. The report is available on the Ofsted website. You can view the report by clicking Here. Our Residential Provision was inspected at the start of February and the report is now available. The reports from the previous inspections are available on-line from the Ofsted website. You can reach this by following the Ofsted link on the Parent Info drop down menu. The judgement for this year is OUTSTANDING in all areas. Well done to all the staff that have contributed to this. More details in the latest newsletter. A copy of the report is also available by clicking the following link Ofsted 2019 If any parent would like a printed copy of the report they may be collected from the school office. REMINDER – Pupils should not be taken out of school during term time for family holidays. Doing so may result in a fine. The Head Teacher can give permission for absence from school for a family holiday only in Exceptional Circumstances. Permission forms are available from the main school office. Reminder about School Uniform – There is Pupil Premium funding available for uniform. Please get in touch with the office if your son is growing out of their uniform. The Uniform checklist is on the PARENT INFO drop-down menu. Previous Newsletters are available by clicking the link on the right.